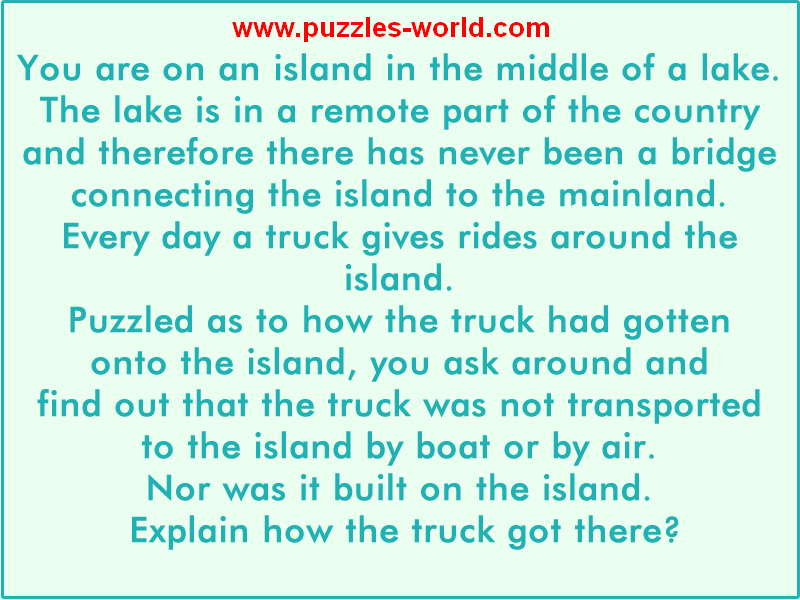 Explain How the truck got on the Island ? You are on an island in the middle of a lake. connecting the island to the mainland. Every day a truck gives rides around the island. to the island by boat or by air. Nor was it build on the island. Explain how the truck got there ? when the lake was frozen.